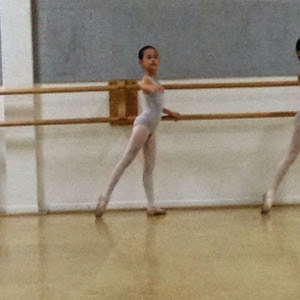 The girl has been attending the Junior Youth Performing Group (JYPG) classes at Singapore Ballet Academy for the entire year and finally the parents are allowed into one of the classes (the last class of the year) to see what the girls are up to week after week. It was the last class of 2014 and we caught a glimpse of the hard work the girls go through week after week. The JYPG class is different from the twice weekly RAD grade classes where the students learn fixed exercises and character dances in preparation for the yearly exam. In the JYPG sessions, the girls get exposed to more types of exercises and steps that would increase their knowledge of ballet moves and stage presence. Most of the 90 mins lesson is spent at the barre doing exercises, some totally new to them. Here's a short clip of one of the exercises. Jingle Bell Rock by the little boy! Baking baking and more baking!